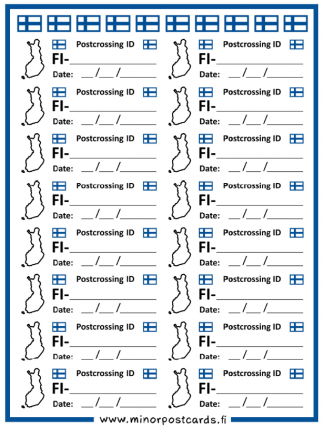 A sheet of Finnish ID stickers! 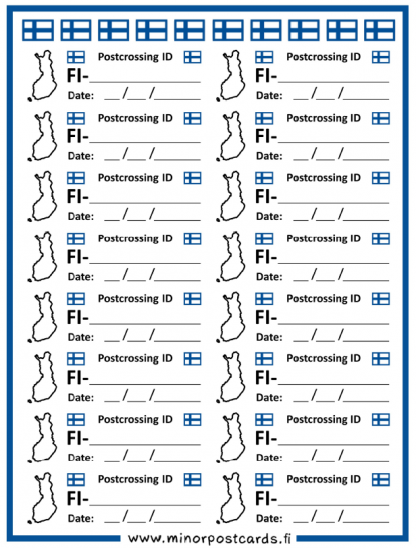 On sticker you can write the Postcrossing ID number and date. 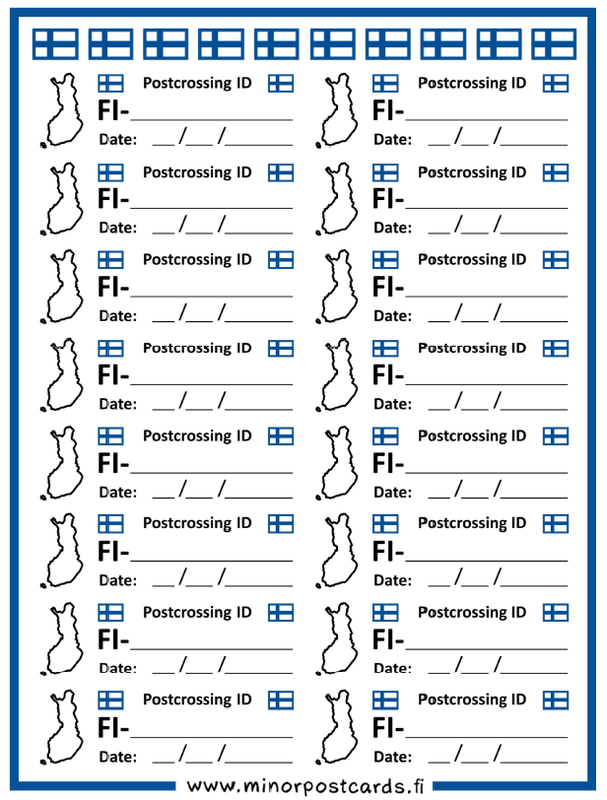 Also remember to place your home on the map of Finland. Pen writing sticks well on these matte stickers, and surface is good for fountain pens too. New block out material – you can cover text, bar code etc. with this sticker. The glue on stickers is strong and it is safe to use these. 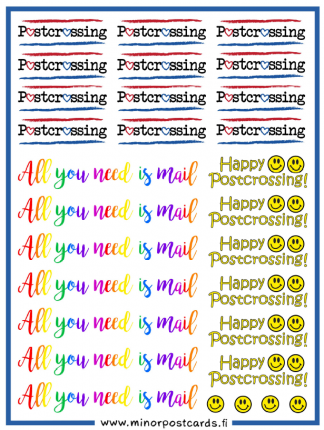 The compact size of a sticker is perfect for a postcard, it leaves plenty of space for writing. 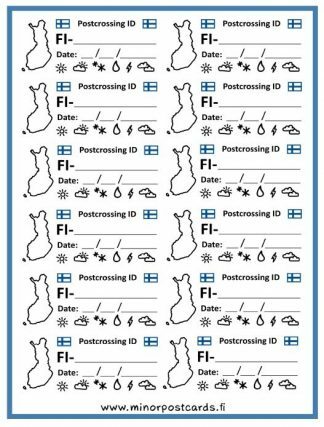 Size of the sheet is 9,5 cm x 12,5 cm and there are 16 stickers on it (sticker size is 1,3 cm x 4,1 cm) and also 10 tiny Finnish flag stickers.